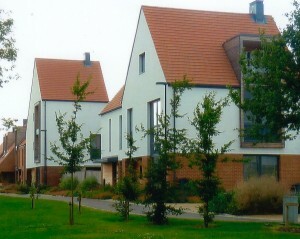 Derwenthorpe is a new housing development on the edge of York. The plans were controversial. The houses are environmentally advanced but the site was contested by some people living in more established communities nearby. Once the disputes were settled and the houses being occupied the Joseph Rowntree Housing Trust organised community events to build bridges. People were invited, not just from the new estate, but from the wider area. One of those projects was a series of Digital Storytelling workshops where stories could be told about Derwenthorpe emerging from a greenfield site. These are three of those stories, told in the storytellers own voice using their own photographs and sketches. Changes from digistories on Vimeo. A digital Story told by Anne Gebbie and created in a workshop in the SSC, Derwenthorpe, York. A Community Building and Digital Inclusion project of the Joseph Rowntree Housing Trust and funded by the Joseph Rowntree Foundation. We All Need It from digistories on Vimeo. A digital Story told by Liz Wilson and created in a workshop in the SSC, Derwenthorpe, York. Help Was At Hand from digistories on Vimeo. A digital Story told by Frank Wilson and created in a workshop in the SSC, Derwenthorpe, York.